For those who are quite satisfied with their Porsche Panamera Turbo, Cargraphic has released a light package which only adds 50 more hp and 75 nm of torque! 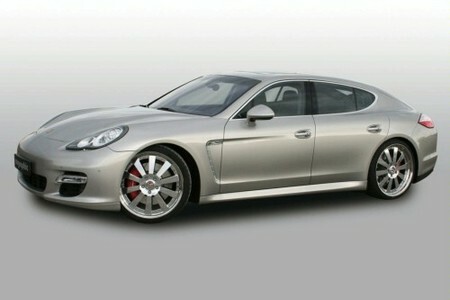 So the 4.8 liter Turbo V8 of the Panamera now develops 550 hp. The good thing is that this increase is achivied only by adding a DME control unit and a pair of sport air filters and no mechanical change has been made. But it has a good effect as the car can now hit the 100 km/h from zero in under 4 seconds and reach max speed of nearly 300 km/h. Cargraphic also offers a number of wheels for the Panamera from the sporty 19″ IS-ONE flow-forming wheel to the extravagant three-piece 22″ GT, GT-R and I-10 forged wheels.